Property is located 2 miles south of the Loop 202 interchange at Val Vista Road. Val Vista and Queen Creek Roads are both major arterials running through the southeast valley. 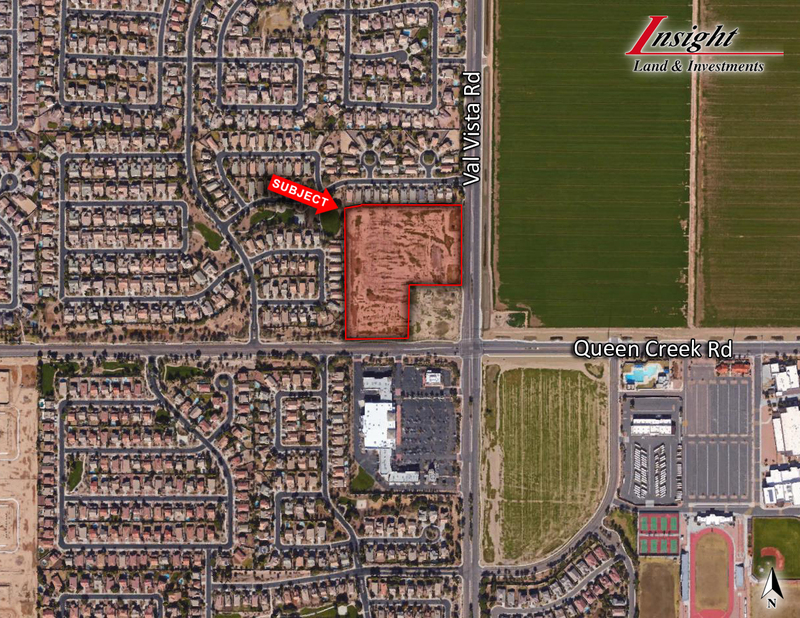 Due to a steady increase in housing starts and residential demand in Gilbert, this site is ideal for retail, office, church, or assisted living uses.